Breast Diagnostic Center | Melanie H. Scott, M.D. At Melaine H. Scott, M.D. P.C. Breast Center, we provide our patients with compassionate, personal service rendered with clinical expertise and the utmost in image quality. 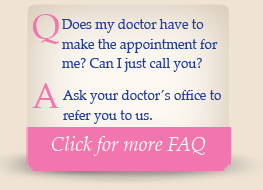 We understand the anxiety that often accompanies breast-related concerns, and treat each of our patients and their families with respect, genuine concern and kindness. From our waiting areas to our screening rooms, our patients’ comfort is our priority. 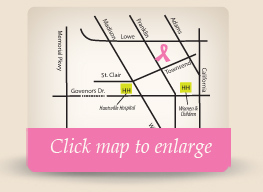 We offer screening and diagnostic digital mammography, physician-performed breast ultrasound and are the only facility in the Tennessee Valley to offer elastagraphy, an advanced ultrasound technique which allows us more accurate evaluation. Please see out “About” page for more information about our services. Please feel free to contact us using the form on this site, or call our office. We are conveniently located in the medical district of Huntsville, Alabama, and we welcome new patients. Copyright © 2019 Melanie H. Scott, M.D.